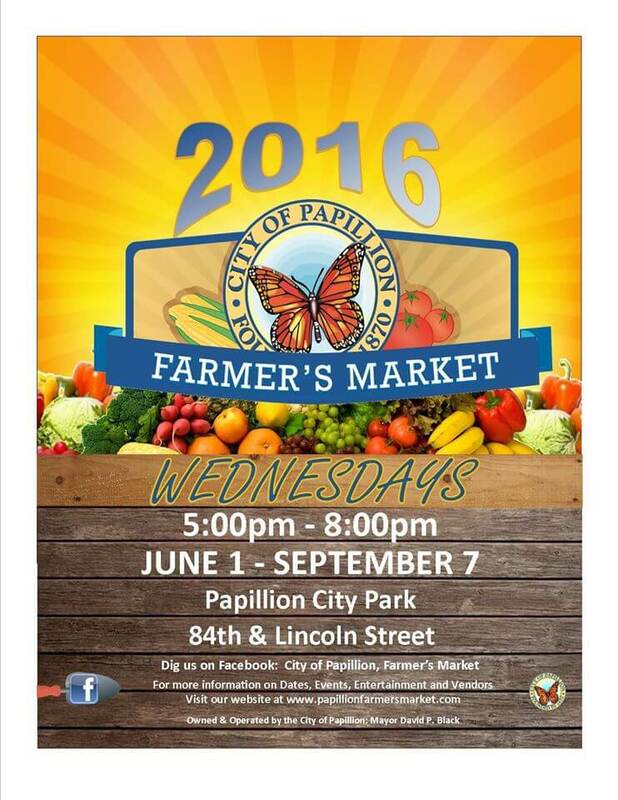 Papillion’s Mid-week Farmer’s Market begins Wednesday June 1 at 5pm. The Market runs weekly until 8pm until September 7th at City Park on the corner of Lincoln and Washington. Many weekend Farmer’s Market favorites will share their wares in Papillion, as well many unique to midweek faces. A pop-up Barbeque event will take place this Saturday, May 21 in the Papillion Sam’s Club parking lot. The event hopes to raise funds and awareness for MPSII research, and local cause Ryan our Lion, benefiting an area child fighting the terminal disease. Delicious food for an adorable toddler? See you at Sam’s! Tickets are still available for the 15th annual Hops for Harmony event at Werner Park. The June 8th event will take place from 5-8pm and include samples of over 100 brews from local masters. Tickets are only $40 in advance, and $45 at the door. Vendors on site will serve ribs, sandwiches, polish dogs, enchiladas, and more! It’s going to be a great night out for an excellent cause, benefiting Project Harmony. To learn more and purchase tickets, head to https://www.facebook.com/events/1528676877434235/. Tickets are also available at participating HyVee grocery stores. The Blackstone District is hosting a monthly brunch the last Sunday of every month. The Food Truck catered event will take place from 10am-1pm on Farnam. A stop into any of Blackstone’s resident businesses will yield a 10% off brunch coupon. Follow Blackstone District on Facebook and Instagram to stay ahead of upcoming events, like the weekly Bazaar and Flea Market coming soon!